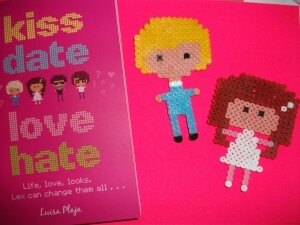 Kiss Date Love Hate is out! 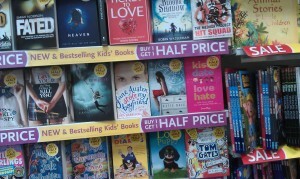 Kiss Date Love Hate is now available in WHSmith and Waterstone’s, and it’s shipping from Amazon and The Book Depository. Look out for its pinkness! The Kindle e-book and all other e-book formats including Kobo e-book are available right now, and the audiobook has just been released on CD. Serendipity Reviews – Fantasy Dinner party post – find out who I’m inviting! 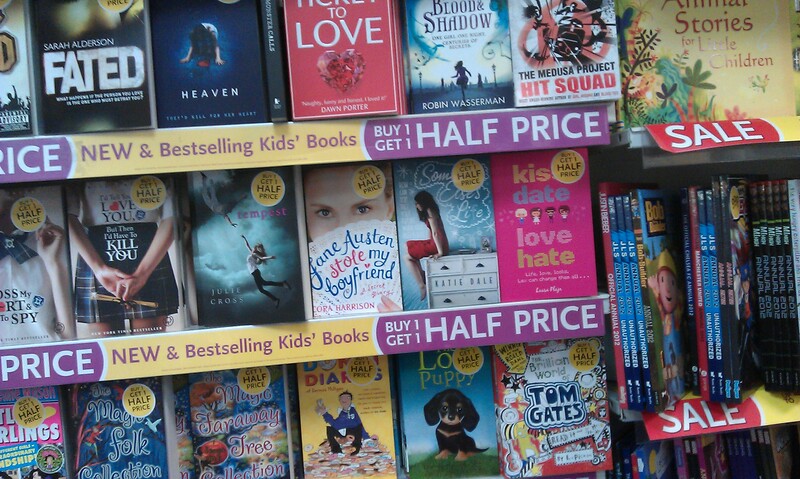 So Many Books, So Little Time – “Kiss Date Love Hate is funny, fresh and smart…” Read the full review at So Many Books, So Little Time. The Beaucoup Review – “…this book was amazing.” Read the full review at The Beaucoup Review. Books, Bonnets and Full-Frontal Blogging – “Romantic comedy + cool sci-fi idea + a touch of seriousness to make you think = about a million thumbs up from me.” Read the review and more at Liz Bankes’s blog. Jess Hearts Books – “I loved this tale of finding love where you least expect it and would definitely recommend it to anyone who appreciates warm, funny, contemporary romance for teens.” Read the full review at Jess Hearts Books. Books4Teens “…characters so full of life that I felt like they could start walking off the page and start talking to me…. a fast paced, addictive read…” Read the full review at Books4Teens. Juniper’s Jungle – “I’m going to be recommending it to anyone who’ll listen.” Read the full review at Juniper’s Jungle. Book Angel Booktopia – “Luisa has a knack of creating utterly realistic and believable characters…” Read the full review at Book Angel Booktopia. Cicely Loves Books – “Kiss Date Love Hate was an adorable, slightly nerdy, lovely book full of laughs and love and a properly realistic British teen narrative.” Read the full review at Cicely Loves Books. Readaraptor – “Kiss, Date, Love, Hate is a book which will make people laugh out loud, shout out loud and love forever…” Read the full review at Readaraptor. Serendipity Reviews – “…funny, warm and extremely entertaining…” Read the full review at Serendipity Reviews. Fluttering Butterflies – “I loved every minute I spent with this book and had a huge grin on my face throughout.” Read the full review at Fluttering Butterflies. Thank you to all the wonderful people who have hosted me on their blogs and taken the time to read and write about my book, I appreciate it so much! I’ll be updating this post with more links as they come in. Please check back! 1 comment to Kiss Date Love Hate is out now!